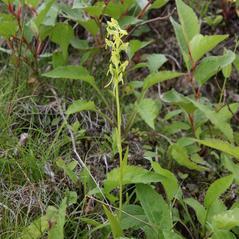 Platanthera tipuloides, commonly known as the Bering Bog Orchid, is found in Asia but restricted in North America to the western Aleutian Islands and other islands in the Bering Sea. 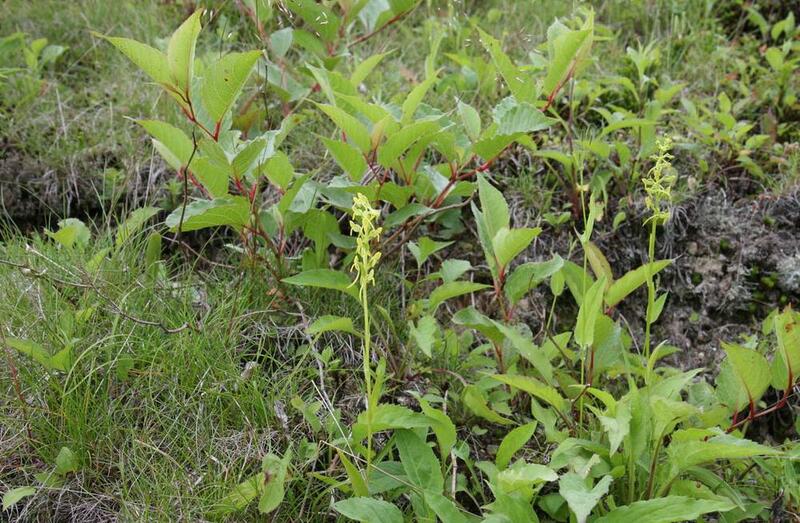 It prefers damp, open hillsides, riparian meadows, and bogs. This orchid grows to 19 cm, with 1 to 2 shiny, lance-shaped leaves. 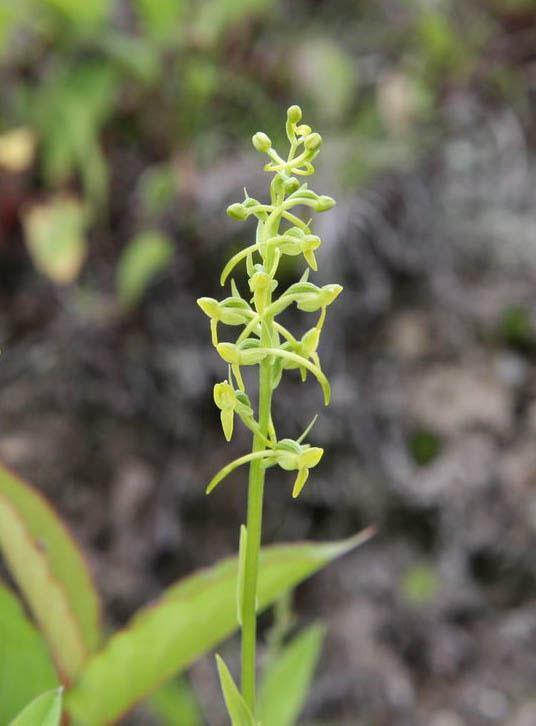 The flower spike is faintly fragrant and bears up to 20 golden yellow flowers. 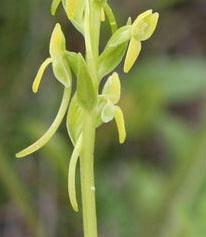 The dorsal sepals form a hood with the petals. 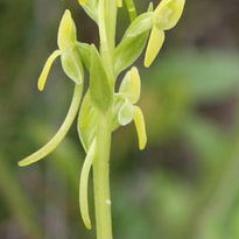 The labellum is elliptic, thickened and fleshy, with a nectar spur that is slender, curved, and about twice as long as the labellum. 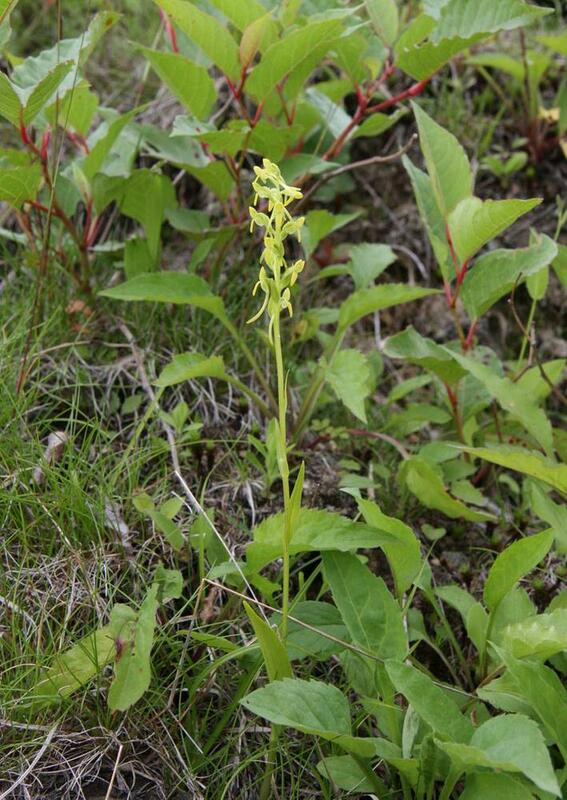 Platanthera tipuloides is considered globally secure, but imperiled to critically imperiled in Alaska. 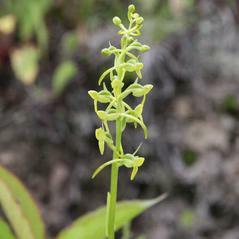 Pollinator information for this orchid has not been reported in North America but in other parts of its range, this orchid is pollinated by nocturnal moths and hawkmoths with pollinaria attached to the proboscis. 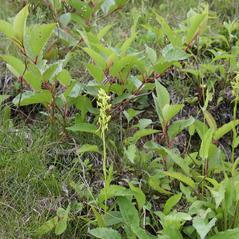 Two varieties of Platanthera tipuloides are generally recognized. var. tipuloides, the typical variety, are larger plants which range westward and southward into the Orient. var. behringiana are smaller plants with yellow flowers that lack a fragrance.